Wondering about the number of letters in Dutch and Portuguese alphabets? When you compare Dutch vs Portuguese alphabets you will understand the number of alphabets in both the languages. Because lesser the number of alphabets, faster the language to learn, find all the Easiest Languages to Learn. Dutch and Portuguese Alphabets are collection of symbols or letters used for writing. Dutch alphabets contain 26 letters and Portuguese Alphabets contain 23 letters. The writing direction of Dutch is Left-To-Right, Horizontal whereas the writing direction of Portuguese is Left-To-Right, Horizontal. Dutch and Portuguese Alphabets are the basics of Dutch and Portuguese languages. Check the detailed comparison of Dutch and Portuguese. Compare Dutch and Portuguese alphabets and find out scripts used by Dutch and Portuguese language. Dutch and Portuguese scripts are the methodology and rules for writing. Scripts used by Dutch and Portuguese languages are Latin and Latin respectively. After learning alphabets in Dutch and Portuguese you can also learn useful Dutch greetings vs Portuguese greetings. 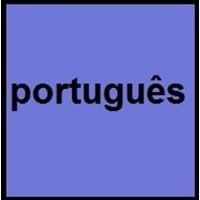 If you are comparing Dutch and Portuguese alphabets then you need to find out Dutch vowels vs Portuguese vowels too. The number of vowels and consonants in Dutch are 6 and 21 and number of vowels and consonants in Portuguese are 9 and 19. Language codes are unique and are two or three letter codes assigned to each language. 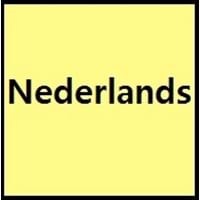 Check out all the language codes of Dutch and Portuguese language codes. Is Dutch Harder than Portuguese? Is Dutch harder than Portuguese? No language is hard or easy to learn as it depends on individual interest and efforts for learning that language. When you decide to learn any language, you need to find out time required to learn that language and levels in that language. As mentioned above, while comparing Dutch and Portuguese Alphabets the number of alphabets in any language decides hardness in learning that language. It's important to know Dutch and Portuguese alphabets because for learning these languages, alphabets are the starting point. The levels in Dutch language are 6. And time taken to learn Dutch language is 24 weeks. While the levels in Portuguese language are 6. And time taken to learn Portuguese language is 24 weeks.